anhedonia is a solo exhibition consisting of new collage and illustration work by Ryan Long. The work displayed draws upon varied themes of homosexuality, mental disorders, machismo, wild plants, supernatural spaces, and simple polygonal shapes. It aims to reimagine depression as a fictitious environment in which it’s inhabitants seek refuge and solace. Ryan Long is a graphic designer from Philadelphia. He is a recent graduate from Tyler School of Art, also in Philadelphia. You can view more of his work at ryanlongdesign.com. This month's special is brought to you by our esthetician Hannah. We'll be featuring a discount on customized oxygen facials, infused with the power of oxygen to rejuvenate dull skin, reduce fine lines and wrinkles, and clear acne, leaving skin plump and dewy. 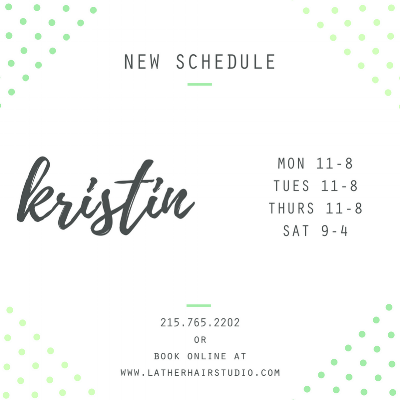 Call 215.765.2202 or book online at www.latherhairstudio.com.